Abu Dhabi Global Market (ADGM), the International Financial Centre in Abu Dhabi, is rallying FinTech and innovative firms to apply who are ready to test their innovative financial solutions, services or business models across more than one country or jurisdiction to apply to the global sandbox via ADGM immediately. FinTech participants in this pilot phase will need to meet the application requirements of all the jurisdictions in which they would like to pilot test their products and services. For example, a firm wishing to test in ADGM, UK, Hong Kong, Australia and Singapore must independently meet the eligibility criteria, and/or other relevant standards, of the regulators in those jurisdictions. For GFIN’s list of participating members and its terms of reference of governance and membership, please visit us at www.fintech.adgm.com. ADGM designed and launched the first comprehensive and progressive FinTech regulatory regime in the Middle East and Africa region. To support Fintech adoption and deployment, ADGM launched the region’s first FinTech regulatory sandbox known as Regulatory Laboratory (RegLab) in October 2016. To-date, the ADGM RegLab has 24 global FinTech firms, and it is the most active regulatory sandbox in the MENA region, and globally second most active after the UK Financial Conduct Authority (FCA)’s sandbox. ADGM’s experience in launching the FinTech regulatory regime and sandbox in the MENA has given the ADGM financial regulatory team valuable traction and insights to the needs of the innovators and financial institutions. As a centre of innovation and financial services, ADGM is an active advocate of financial technology and developments locally and internationally. It has formed vital international bridges with financial regulators, governments and industry associations with 18 jurisdictions to promote and enable the development and adoption of FinTech across the various economies. ADGM is one of the 11 founding financial regulators to kick-start and support the GFIN championed by the UK FCA. ADGM will be co-organising and hosting a two-week Global TechSprint* in Abu Dhabi to explore the potential for new technologies to enhance information sharing across jurisdictions. This follows from the Anti-Money Laundering and Financial Crime TechSprint that the UK FCA held last year. The two-week TechSprint will be held in conjunction with colleague regulators UK FCA, Australian Transaction Reports & Analytics Centre (AUSTRAC) and Monetary Authority Singapore (MAS), and in consultation with Europol. 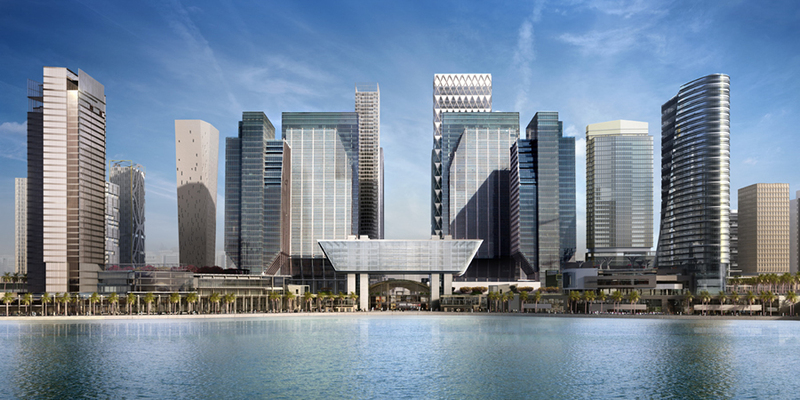 ADGM is an active partner and participant in cross-border and international financial initiatives. To this end, ADGM is developing a FinTech Digital Sandbox, a digital environment to host the testing of new FinTech products by industry participants, with direct regulator engagement. Harnessing the immense power of APIs, the ADGM Digital Sandbox will provide institutions and start-ups the ability to connect and share data, solutions and ideas to accelerate digital adoption. A core part of the Digital Sandbox will be its ability to connect to similar digital environments in other parts of the world. Most recently, ADGM partnered with the ASEAN Financial Innovation Network (AFIN), who launched a digital marketplace – the API Exchange (APIX) – for South-East Asia to support financial inclusion, to test the cross-border connectivity between the ADGM Digital Sandbox and APIX. The use case involves a bank in the Middle East financing a trade transaction between a buyer in the region and a seller in ASEAN. The bank on-boards the seller using the FinTech solutions available on APIX, retrieves and validates the invoice documents from the National Trade Platform of Singapore (NTPS), and disburses the financing via a payment system in Singapore. All of these enabled in a digital and secure environment. ADGM also participated in the Global Trade Connectivity Network project led by the Hong Kong Monetary Authority and Monetary Authority of Singapore jointly, to build a blockchain-based trade financing platform to support cross-border trade. ADGM has set up an inclusive and vibrant ecosystem to enable incubation, acceleration, adoption and deployment of FinTech solutions and services in the UAE and the region, and look forward to working with fellow regulators to embrace innovative ways of delivering financial services.